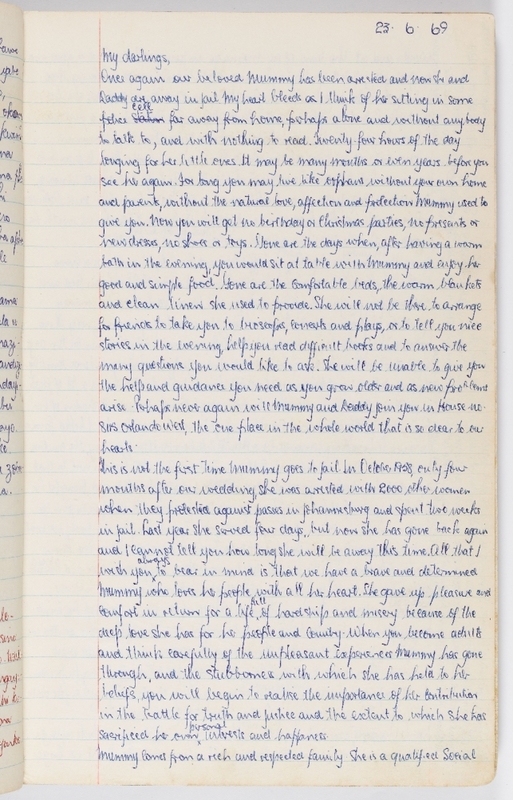 Poignant, impassioned, gripping, and always inspirational, the letters–many of them never before seen by the public–have been assembled from the collections held by the Nelson Mandela Foundation and the South African National Archives among others. 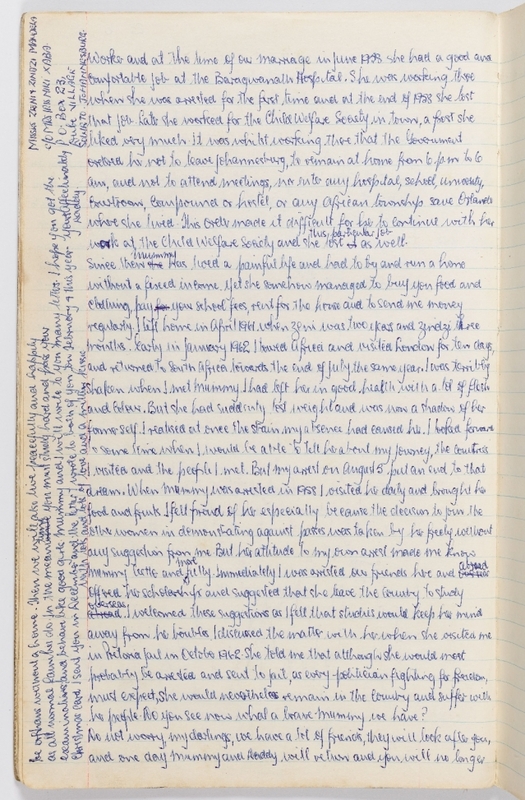 Mandela’s letters are organised chronologically and divided by the four prison venues in which he was incarcerated as a sentenced prisoner from 1962 to 1990: Pretoria Local Prison, Robben Island Prison, Pollsmoor Prison, and Victor Verster Prison. The book provides an intimate portrait of a political activist who was as much a devoted husband, adoring father, dedicated student (studying for a law degree behind bars), and abiding friend. A father of five when he was sentenced to life imprisonment, his letters home became a critical means of parenting in absentia–particularly as he was denied visitation rights until his children had reached the age of sixteen. Letters to comrades and old acquaintances are infused with optimism and warmth, as well as a steely resolve to stay the course. Mandela reminisces and often frets over the future, yet never loses hope. He is witty, clever (often cloaking references to banned colleagues through nicknames), and empathic with others despite his own tribulations and tragedies, like the death of his mother and son, over which he anguished. And a new portrait emerges of his close relationship with Winnie Madikizela-Mandela, whose own battle with the apartheid system during the same period is documented dramatically through their letters. In them Mandela professes his love, but also a deep appreciation and moral support for her efforts on behalf of the movement. 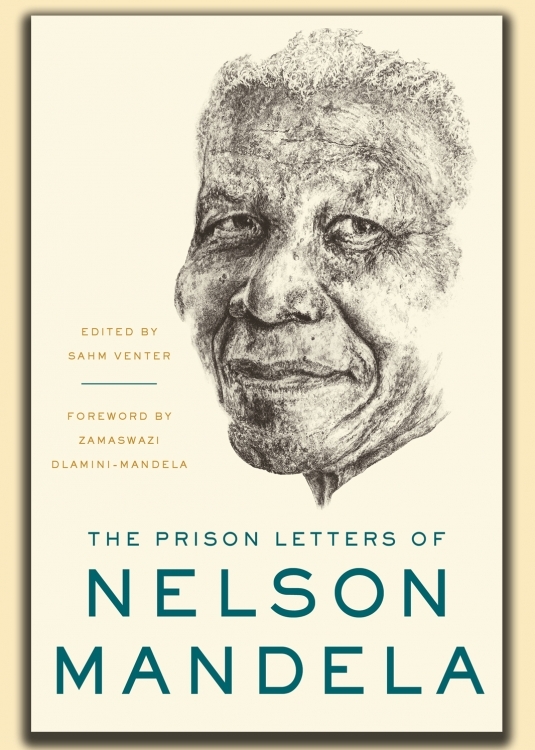 During his incarceration, Mandela would pen a multitude of letters to loved ones, compatriots, prison authorities, and government officials. At first he was only allowed to write and receive one letter of five hundred words every six months. Even when restrictions were finally loosened regarding the length and regularity of his correspondence, his jailors continued censoring his letters for political overtones–even innocuous references. The ultimate output reflects the famed Mandela wilfulness and resilience; here every word is chosen as if his life depended upon it. On 12 June 1964, Mandela–then serving a five-year sentence at a Pretoria prison–would learn the apartheid government had no intention of ever setting him free. Brought up on charges of sabotage and now sentenced to life, Mandela and six others were led to the notorious maximum security compound on Robben Island, where harsh physical conditions and brutal enforcement combined to systematically dehumanise inmates. Denis Goldberg, the only white person convicted and sentenced to life with Mandela was sent to Pretoria to serve his sentence as apartheid regulations prevented him from being imprisoned with his black comrades. Decades later, despite enduring three other prisons and a life-threatening illness, Mandela would prove his captors wrong. 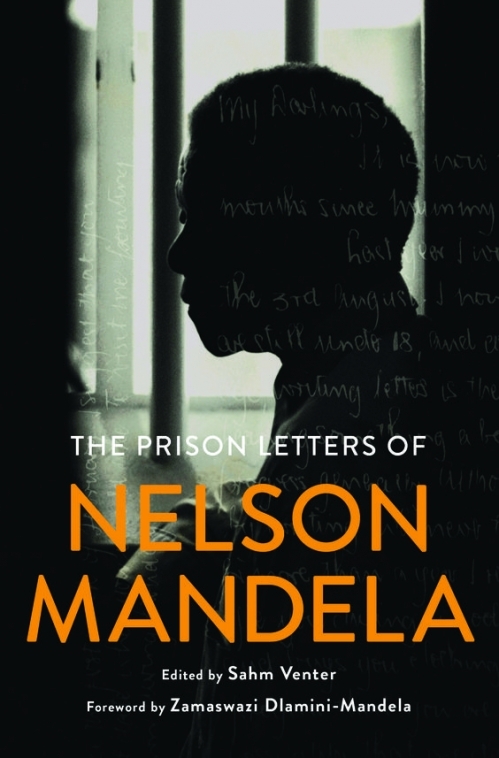 The Prison Letters of Nelson Mandela is a testament of his defiance and his resolve. 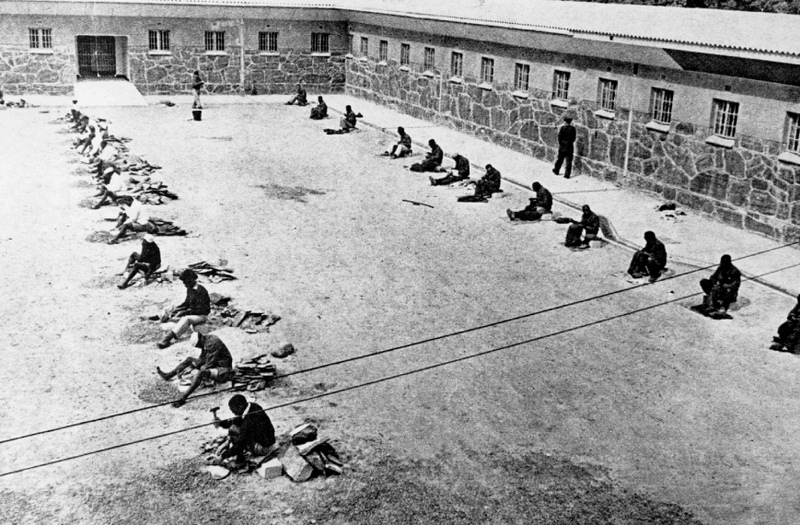 Above: Robben Island's prisoners were made to sit in rows in the prison courtyard and smash stones into gravel. 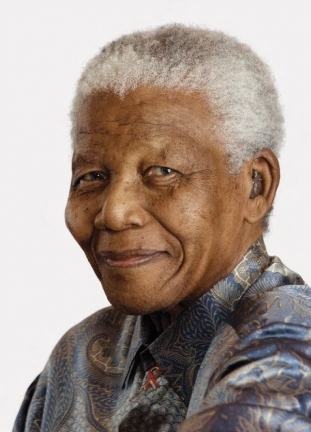 NELSON ROLIHLAHLA MANDELA was born into the Madiba clan in the Transkei, South Africa, on 18 July 1918. He moved to Johannesburg in 1941 where he entered the African National Congress as one of the co-founders of the ANC Youth League in 1944; opened South Africa’s first black law firm with his ANC comrade Oliver Tambo in 1952; and became the father of five children. A leading figure in the ANC’s armed struggle against the government’s apartheid policies, he was already serving a five-year sentence for leaving the country without a passport and inciting workers to strike in 1962 when he was charged with sabotage in 1963 and sentenced to life imprisonment the following year. By the time he was released in 1990, after more than twenty-seven years of incarceration, his image and story had become synonymous with the international anti-apartheid movement. He was jointly awarded the Nobel Peace Prize in 1993 and became South Africa’s first democratically elected president in 1994. He is the author of the international bestseller Long Walk to Freedom and its sequel, Dare Not Linger: The Presidential Years, which was published in 2017. He died in December of 2013. 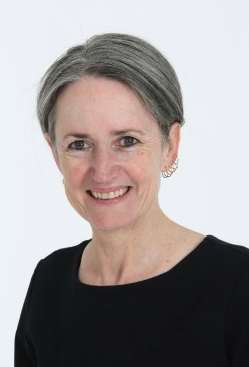 SAHM VENTER worked as a journalist for over twenty years, mainly covering the anti-apartheid struggle, including Nelson Mandela’s release from prison in 1990 for The Associated Press, and South Africa’s transition to democracy. Venter was a member of the editorial team for Nelson Mandela’s books Conversations with Myself and Dare Not Linger: The Presidential Years. 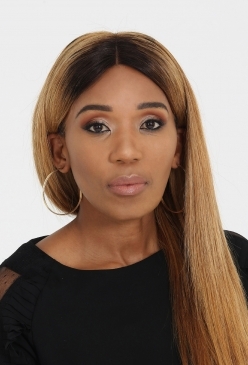 She has edited and co-authored a number of books with some of South Africa’s most prominent freedom fighters including Winnie Madikizela-Mandela and Ahmed Kathrada. She is currently senior researcher at the Nelson Mandela Foundation. ZAMASWASI DLAMINI-MANDELA was born in 1979 in Welkom, South Africa, close to the town of Brandfort to which her grandmother, Winnie Madikizela-Mandela was banished by the apartheid regime. She works as a business developer and is a public speaker and a self-described serial entrepreneur. In 2017 she launched her luxury fashion range Swati by Roi Kaskara. She is the granddaughter of Nelson Mandela and Nomzamo Nobandla Winnie Madikizela-Mandela. Mandela's Robben Island cell as it has been recreated by the Robbin Island Museum. When Mandela lay down, his head touched one wall and his feet almost the other. Copyright © Matthew Willman – Robben Island Museum Mayibuye. 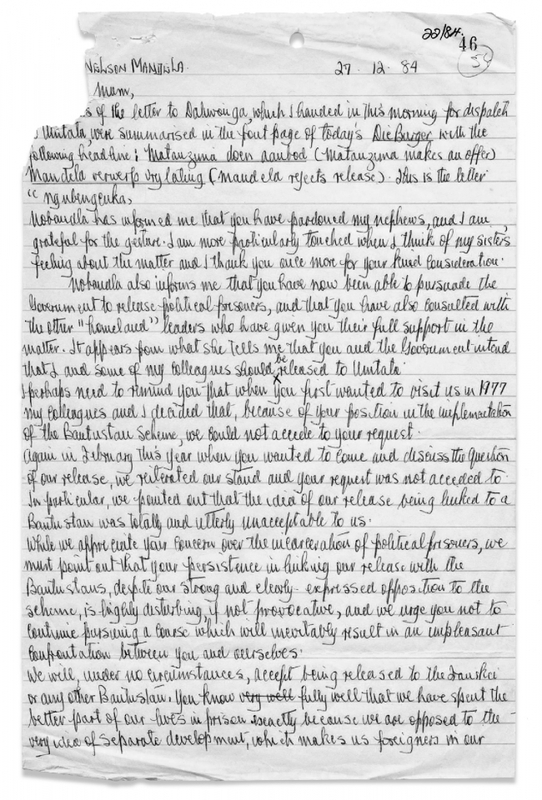 Pages from a letter from Mandela to daughters Zindzi and Zenani dated 23 June 1969, after learning that Winnie had been arrested. 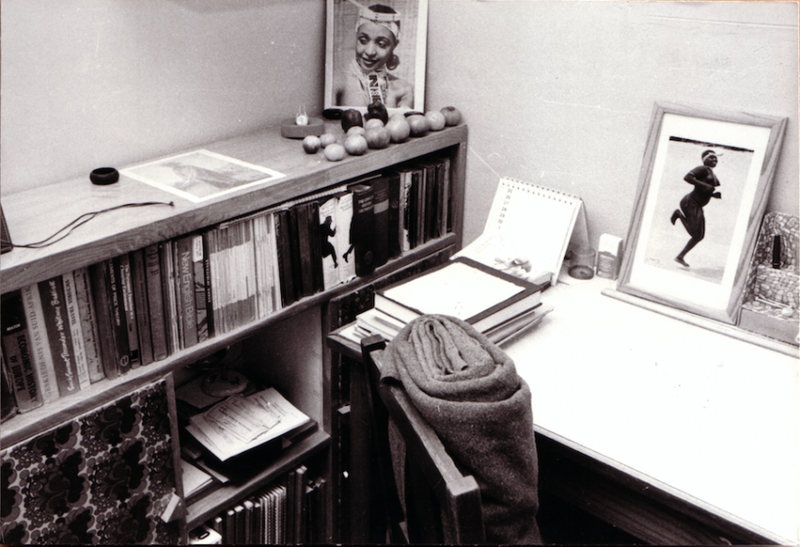 Copyright © Donald Card Collection housed at the Nelson Mandela Foundation, photograph by Ardon Bar-Hama. 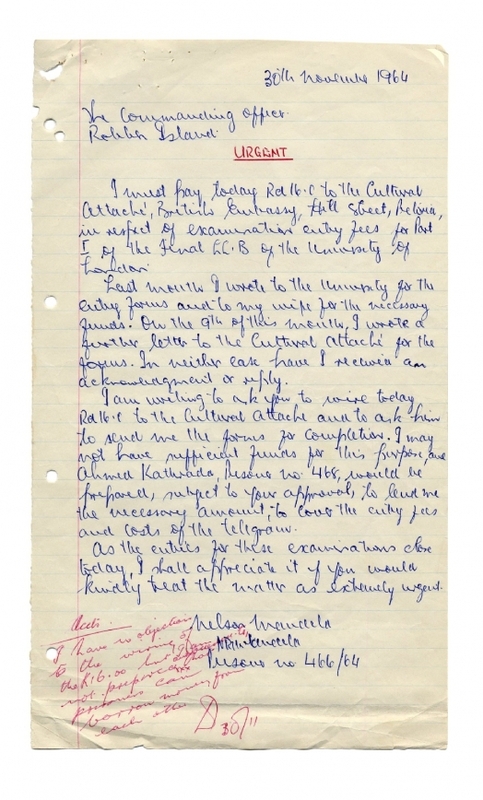 Letter from Mandela to the commanding officer of Robben Island requesting permission to borrow money from fellow inmate Ahmed Kathrada to cover examination entry fees. A note in another hand reads, "I have no objection to the wiring of the R16:00 but I am not prepared that prisoners can borrow money from each other." 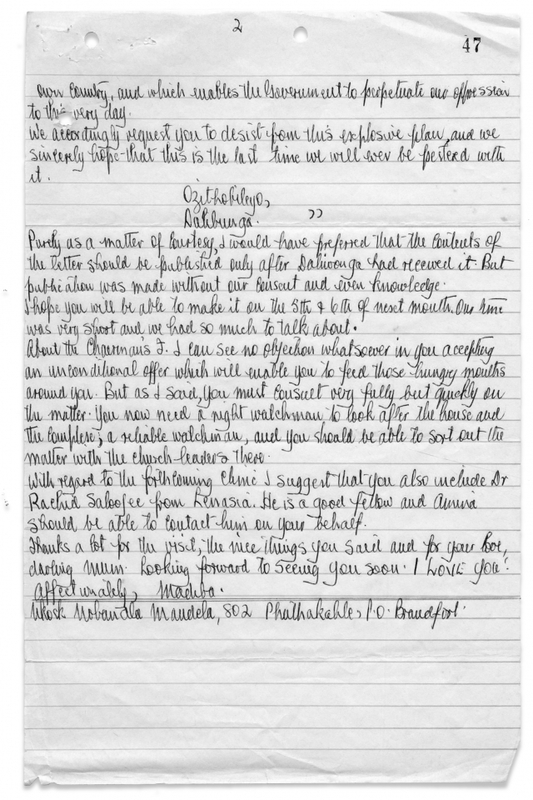 A letter to Winnie Mandela, 27 December 1984. 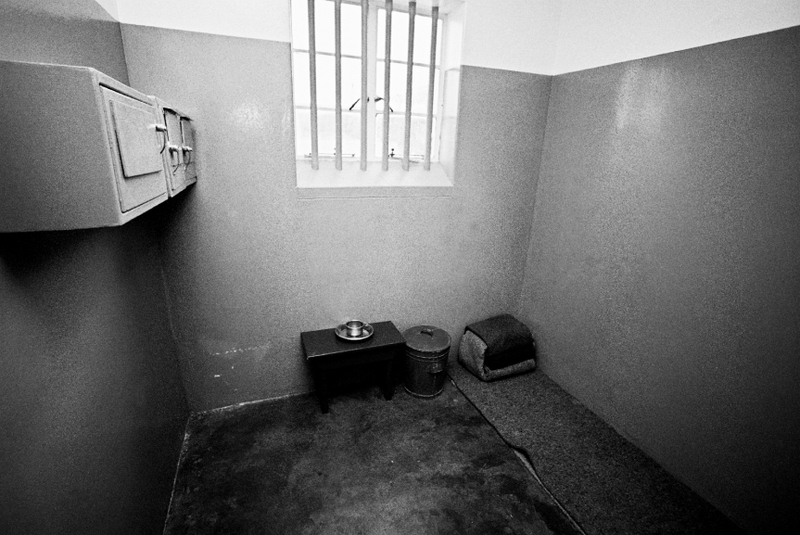 This photograph of Mandela's Robben Island cell was taken in 1977 when the apartheid government organized a visit to the Island by media to showcase how 'well' the political prisoners were being treated. Over the years the prisoners struggled for better prison conditions and by 1977 Mandela was allowed to have books related to his study.